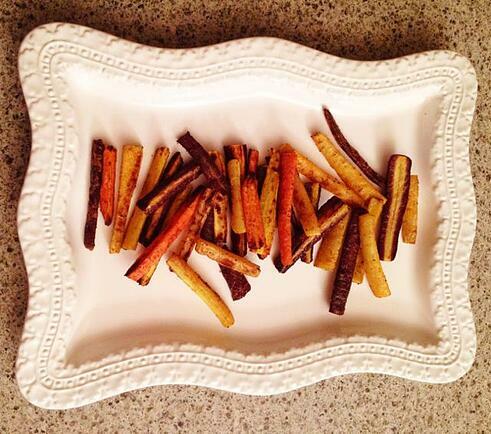 If you are a fan of sweet potato fries, these are along the same lines of sweet and salty. Roasting the carrots brings out their natural sweetness. Tossing them with olive oil and salt crisps them right up creating the perfect side to go with any meal. The easy weeknight meal of burgers and fries doesn't have to be unhealthy. 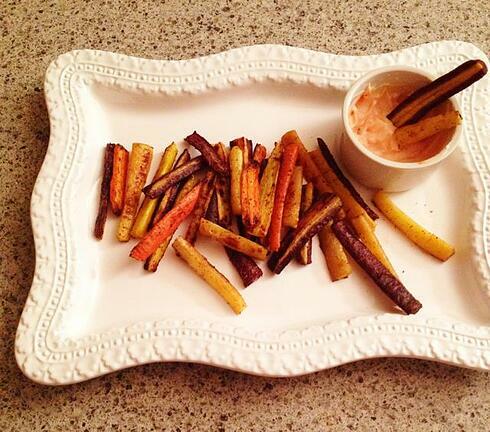 I love pairing these roasted carrot french fries with my favorite green goddess burger. For my gluten free friends, don't think you have to go sans bun for this meal, try these gluten free everything buns! Pre-heat oven to 400 degrees F. Cut carrots into uniformed pieces, I tried to cut mine to resemble a french fry. 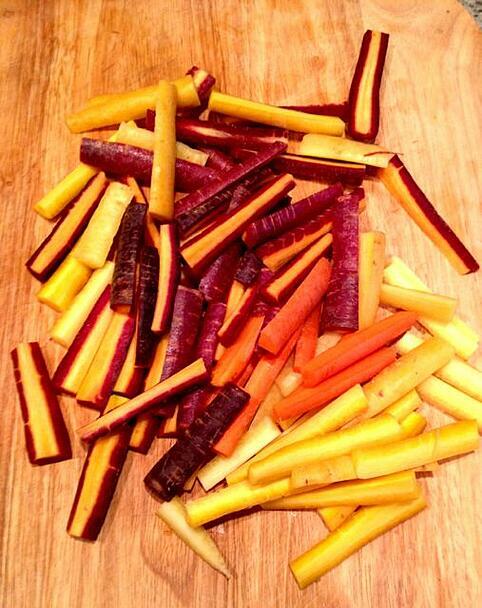 Place carrots on a baking sheet and toss with olive oil. Season with salt and pepper. Before you bake the carrots, space out the carrots so they are not on top of each other (I used two baking sheets). If the carrots are too close to one another, they will end up steaming instead of crisping up. No one wants soggy fries. Roast the carrots for 15-20 minutes, check at the 15 minute mark. You want the carrots to be golden and crisp. While the carrots are cooking, prepare the dipping sauce by mixing the mayo and ketchup. You can also use ranch dressing, garlic aioli, or just eat the carrots plain.